Light bulb with question mark at the place of incandescence. 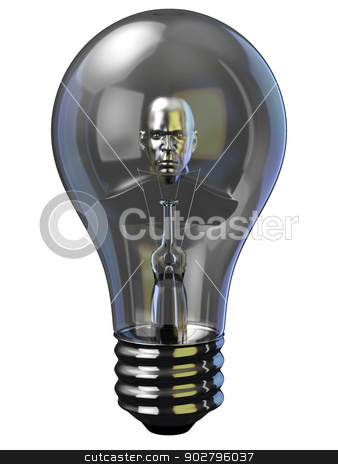 A digital man bust in light bulb. Concept of working on idea.